Day two of our road trip took us to Tennessee, where 6 months earlier I had the privelege of attending the Bonnarroo Music Festival, to see such great acts as Metallica, Pearl Jam, Ben Folds, Jack Johnson, BB King, Chris Rock and a whole lot more. This time around we went straight to Memphis, specifically for the purpose of seeing the famous Graceland, where Elvis and his family lived (and also where he died, but we won’t talk about that). The house was pretty impressive, most if not all of the rooms were kept just how they were when he was still living (cleaned up a bit I’m sure). The back shed was converted into a shrine of sorts – all of his gold and platinum records, memorabilia, his vegas outfits, the works. In the back, there was another sort of shrine – the gravesites of him and his immediate family. 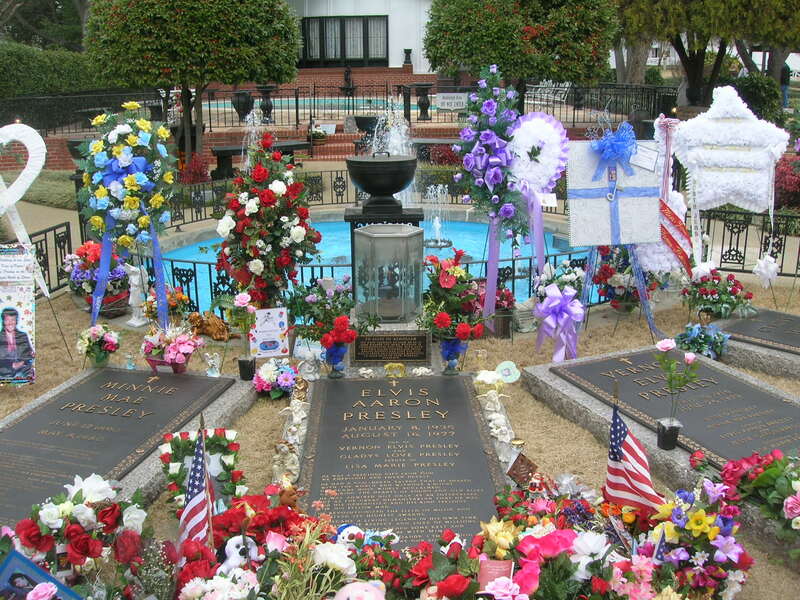 Elvis’ countless fans have sent flowers to Graceland over the years, for this precise purpose. In fact, we had only missed his birthday by a couple weeks. I’m sure it would have been a much crazier and somber scene at Graceland if we had been there at that time. After taking in all Graceland had to offer, we explored downtown Memphis a bit. We had dinner at BB King’s Blues Club on the famous Beale St. Great Memphis BBQ and some great live blues acts performing right in front of us on the stage. And we got a couple of huge tall boy pint glasses to boot. That’s it for day two, check in tomorrow for day three, where we stop through Little Rock, Arkansas.